Nottingham’s team of four Technicians and a Parts Specialist have proved themselves to be the best in Europe by securing second place at this year’s Scania global Top Team competition. Pipped to the post in a nail-biting finale by New Zealand, the Keltruck Nottingham team (aka the Robin Hoods) and their depot are now 30,000 Euros richer as a result of their endeavours. 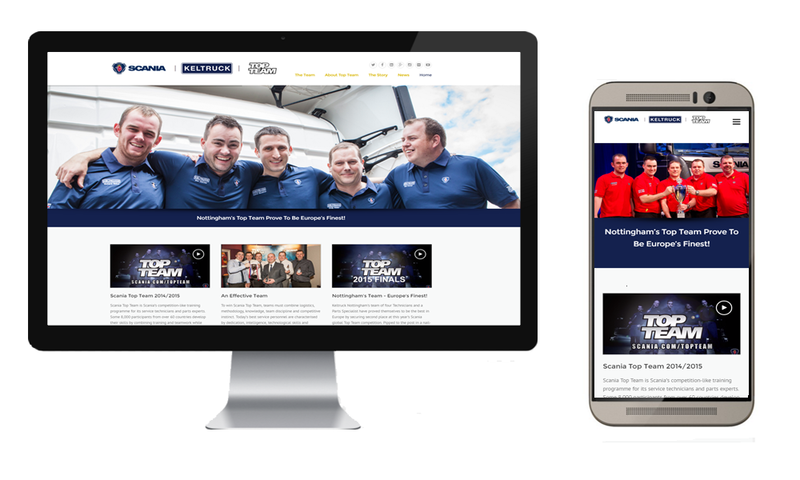 Keltruck wanted a web site to be colourful and bright and to show off some good photos & video of the team. The site features a guestbook many other nice touches available through WORDPRESS plugins. The use of a good theme also proves itself on a mobile device … clean, slick and easy to navigate.